ANNOUNCING! The Berkeley Girl, in Paris 1968 won the Independent Press Award’s 2017 Distinguished Favorite in Historical Fiction! Congrats to all the other winners from Sand Hill Review Press – please take a look here. In The Berkeley Girl, In Paris, 1968, Elise Frances Miller catapults the late 1960s beyond media stereotypes that have inflamed opinions of the era for decades. This powerful novel tells the story of Janet Magill, a shy, straight-arrow Berkeley freshman with compelling reasons to join the antiwar movement. Janet’s brother has been shipped off to Vietnam, and Aaron Becker, her childhood sweetheart, might well be next. When Janet’s parents banish her from Berkeley to what they expect will be a safe, idyllic springtime in Paris, she runs headlong into a revolution and falls in love with a secretive Czech dissident. France’s Tricolor, first adopted in 1794, during the 1st French Revolution, still in use in 1968. The story brings to life the historical “Events of May,” in which over ten million French citizens were involved in the only student-worker-bourgeois alliance and true “revolution” that a Western, capitalist democracy had ever experienced. Far from the distant and haunting City of Light, Aaron makes plans to evade the draft and join Janet, then follows her journey through an intense and embattled correspondence. He witnesses the wrenching, transforming exploration of Janet’s capacity for love, responsibility and sacrifice, then loses contact as her “safe” year abroad turns into a dangerous coming of age. What was the May Revolution? Photos from the personal collection of Elise Frances Miller. 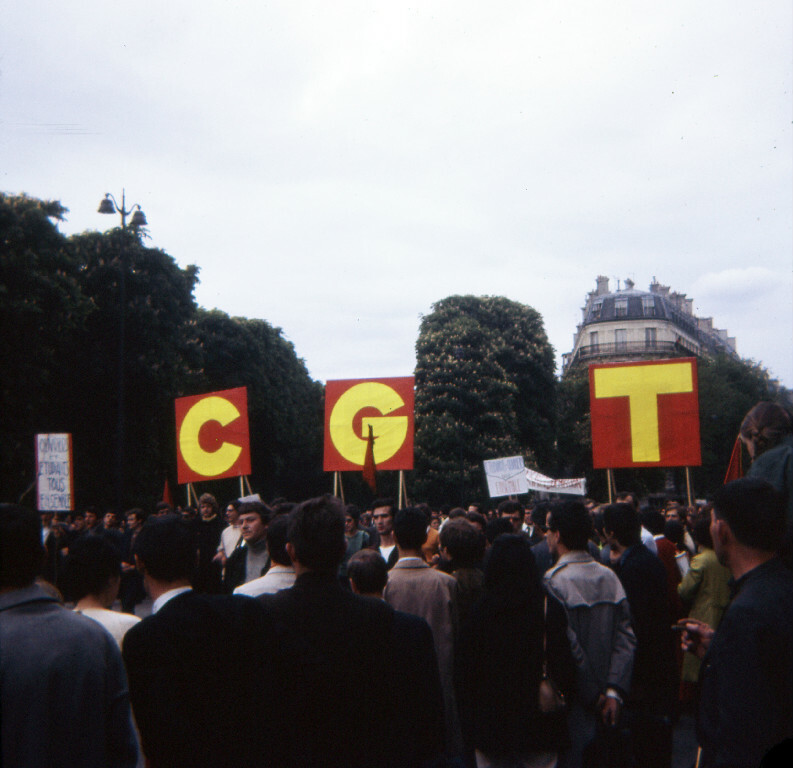 Paris at peace and May 13, 1968: students; citizens; workers from the FO, European Trade Union Confederation; workers from the CGT – General Confederation of Labor linked to the French Communist Party. 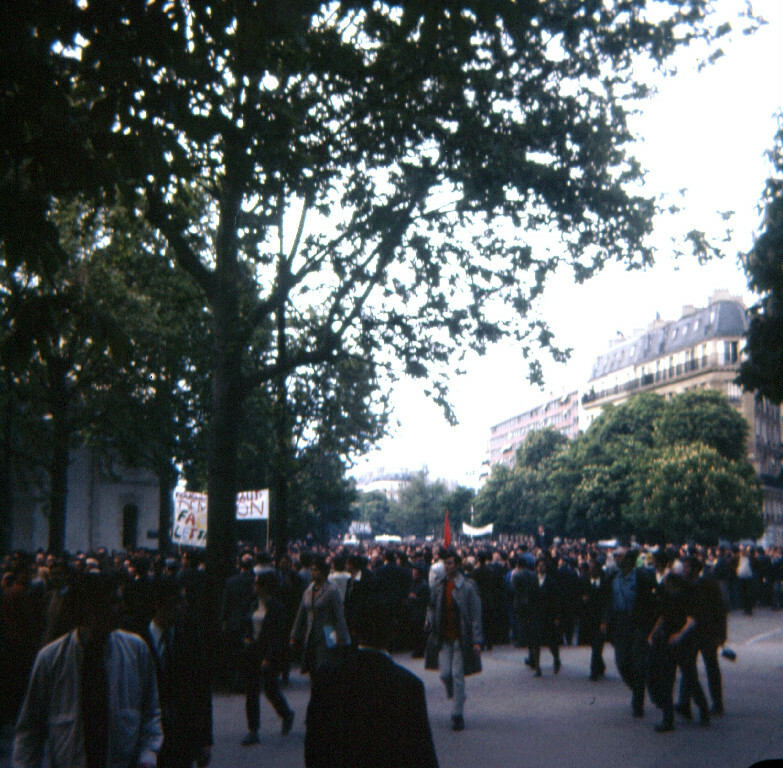 The Events of May or the May Revolution took place in Paris and all over France in 1968. Over ten million French citizens were involved in the only student-worker-bourgeois alliance and true “revolution” that an advanced, Western, capitalist democracy had ever experienced. Nevertheless, few Americans under the age of 50, and many “Boomers” as well, have never heard of these events. They are seldom discussed today, and relatively little has been written about that era, particularly in the genre of fiction. It is easy to forget today how prior to the late 1960s, young people everywhere deferred to their elders, women to men, workers to bosses, and the poor to the bourgeoisie to the wealthy. 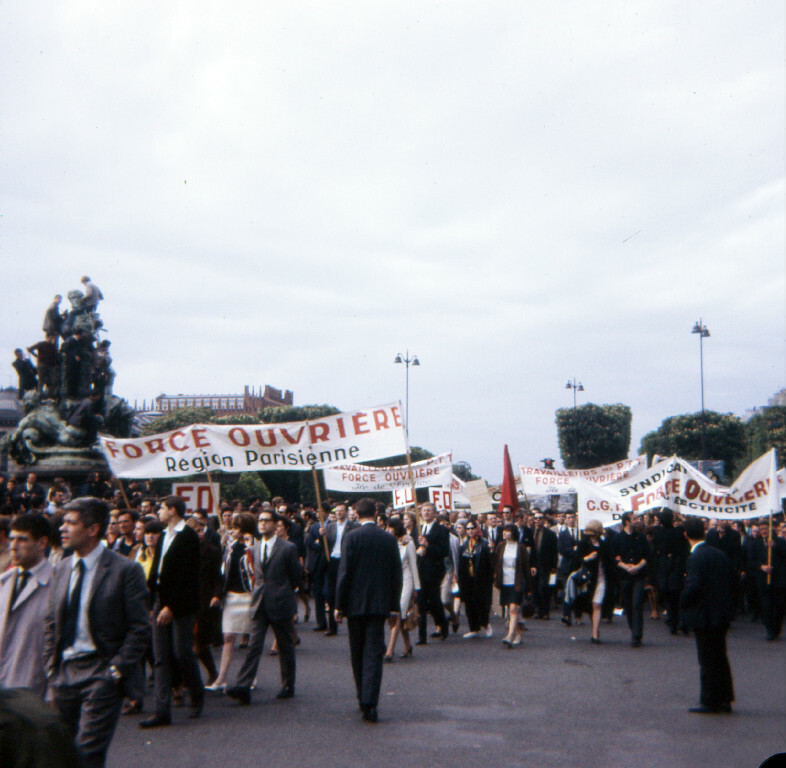 The hierarchical society inherited by the French students sparked their courageous reaction during that one month in 1968. Primary sources/documents from the May Revolution showed that “middle-class students, intellectuals, and artists can organize themselves to transform their immediate places of work and everyday life and can unite with workers to militate for fundamental social transformation.”* What these revolutionaries attempted was no less than a complete change in social relations, culture, and individual behaviors as prelude to political and systemic transformation. Their purposeful, “exemplary actions” inspired workers in France and young people on an international scale. As in so many other Western countries, the May Revolution began with meetings and protests of a handful of disgruntled students. About 25, mostly from the sociology department, met at the University of Paris, Nanterre, a bleak, dreary, isolated campus in a low income suburb of the city. Students demanded the right to assemble and discuss such issues as sexual freedom, Vietnam War opposition, and their own antiquated, hierarchical educational system. 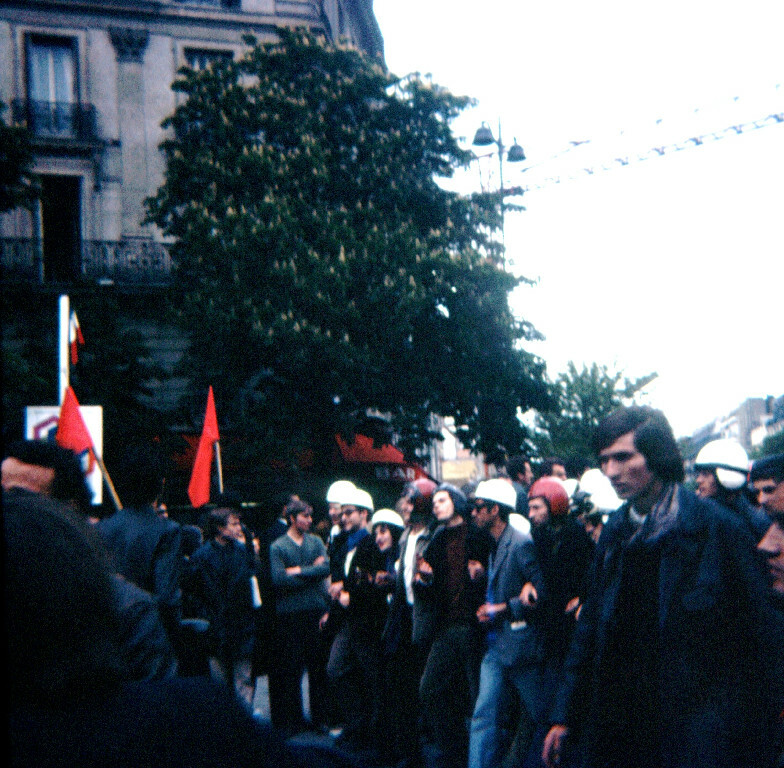 When escalation of activities was met with the harsh and foolish move of closing the Nanterre campus, students descended on the courtyard of the Sorbonne campus in Paris. From there, ill-conceived tricks and violent attacks by the Paris police and French government security forces brought the numbers from hundreds to thousands. The stalwart French middle class—the formidable bourgeoisie—were outraged at the treatment of the students. They listened carefully to the arguments being expounded, and began to support their efforts for change. Once the bourgeoisie were engaged, it took only two weeks for ordinary workers, especially young workers, to rally to the students’ side. By mid-May, numbers on the streets and shutting down the factories climbed to well over ten million. In all sectors—public and private, academic, media, transportation, and production—France was shut down by strikes. The student movement was largely based on principles of open speech, power sharing, and an “endless Revolution” that would change not only policy, but social attitudes and behaviors. It was the single point in history when the young New Left became singularly disillusioned with the Old Left. The quests of Stalinism and Maoism were recognized as decayed ideologies, regarded by this huge post-World War II generation as equally flawed and suspect as the unfair and unsustainable Western European and American dogmas of imperialism, capitalism and oligarchy. This kind of national conversation could not contend forever with the powerful forces of government and industry, backed by the military. But eventually, it was the French Communist party and their labor machine, already entrenched with 22% of the parliamentary seats, that crushed the Revolution. The Communists, unprepared and unwilling to take up the responsibilities of governing, collaborated with the government of Charles de Gaulle, frightened the bourgeoisie and ended the dreams of those who would have forced both political and cultural change on the French people. The obscurity of these events in history is largely attributable to the failure of the movement, at least on the surface. 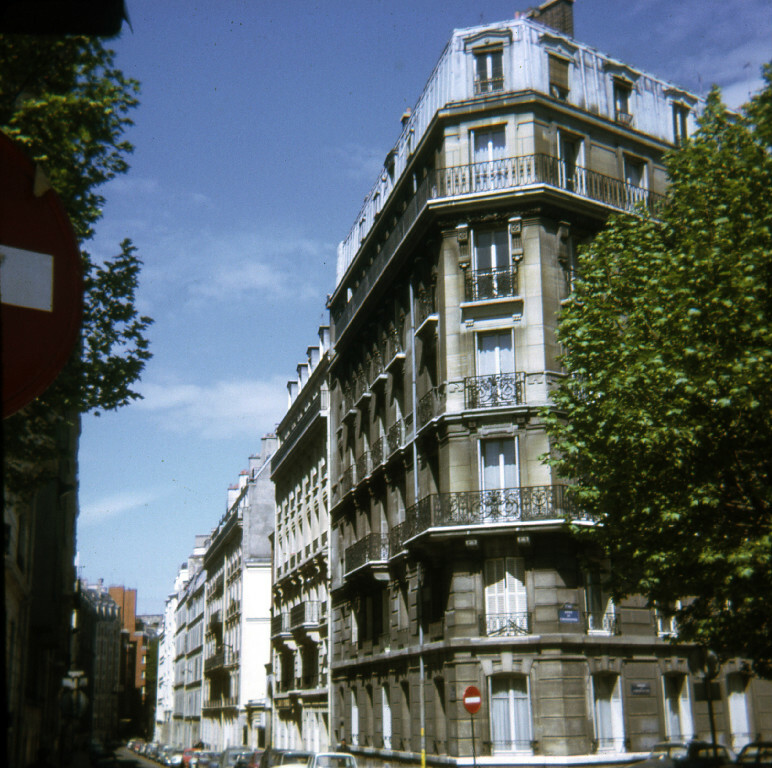 With the coming of summer, 1968, Charles de Gaulle was re-elected and the movement had dissipated. But within just a couple of years, the French government was transformed. The students aged into a majority at the polls. The Events of May led to a French socialist democracy and the overthrow of both the repressive Gaullist state and the narrow ideological horizons of Old Left. New kinds of relations between people and in politics also emerged. Following these events, Western countries revised forever their complacency in the face of people of all ages who are raised to believe in life and liberty and will insist on the pursuit of happiness. Note: This explanation has been adapted and excerpted from the text of the Andrew Feenberg and Jim Freedman book, When Poetry Ruled the Streets, The French May Events of 1968, published by the State University of New York Press in 2001.